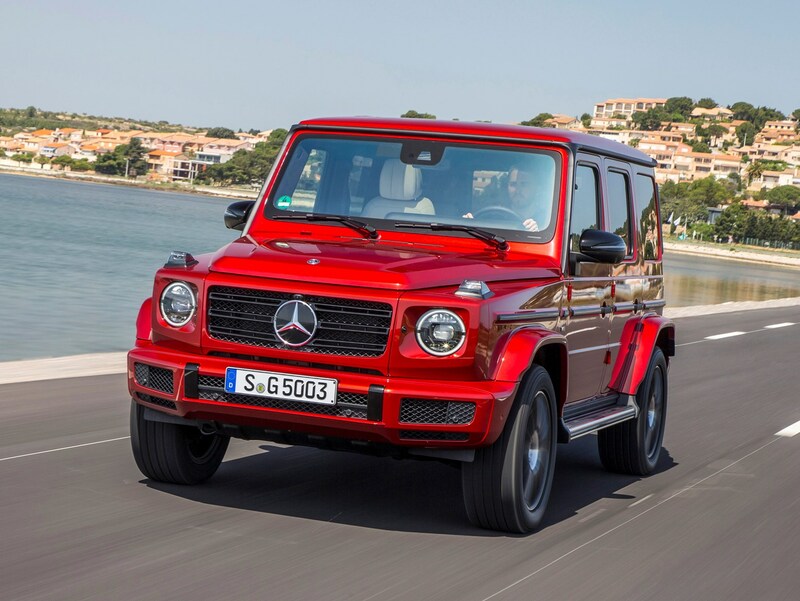 The Mercedes-Benz G-Class's performance is extraordinary for a car designed to scale 45-degree inclines. 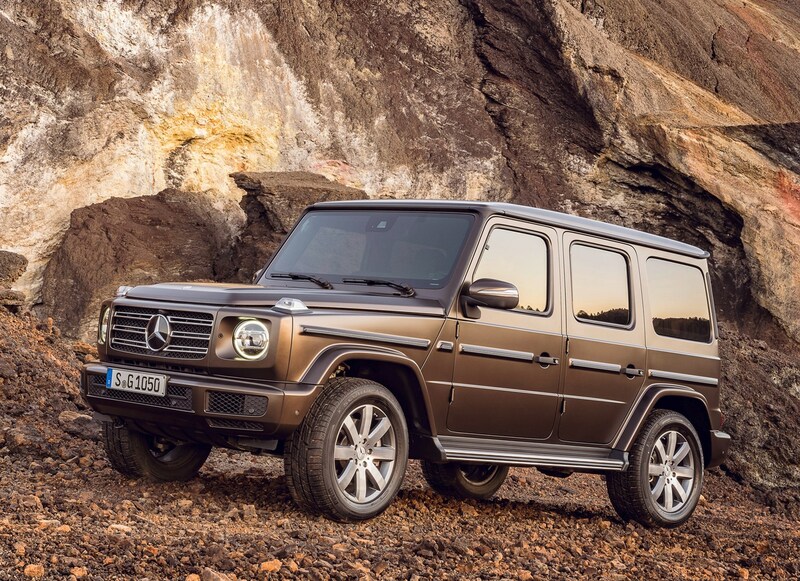 From summer 2019, the somewhat more pragmatic choice of a diesel powerplant is once again available in a G-Class. 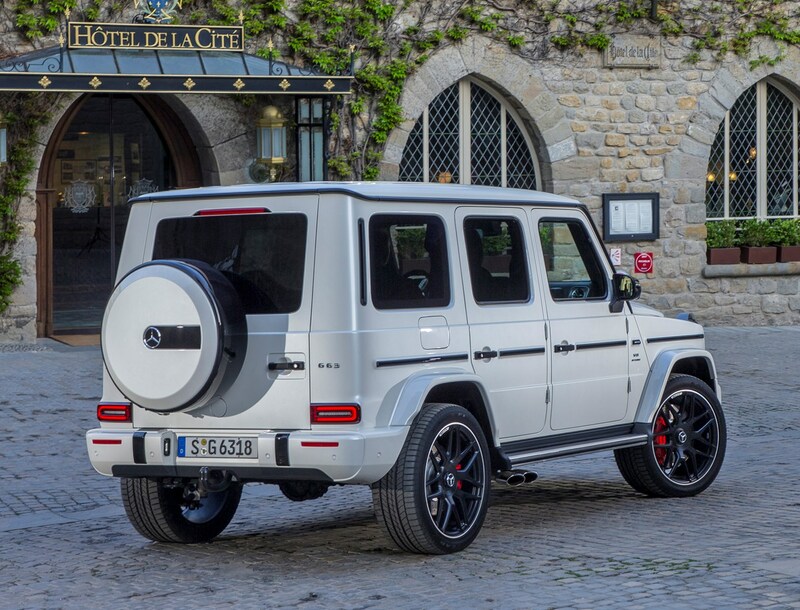 Quite whether reducing running costs is of primary concern for a G-Class customer where status and/or go-anywhere ability are usually the influencing factors remains to be seen. Still, you’ll be filling it up slightly less frequently given its official claim of 29mpg on the combined cycle. 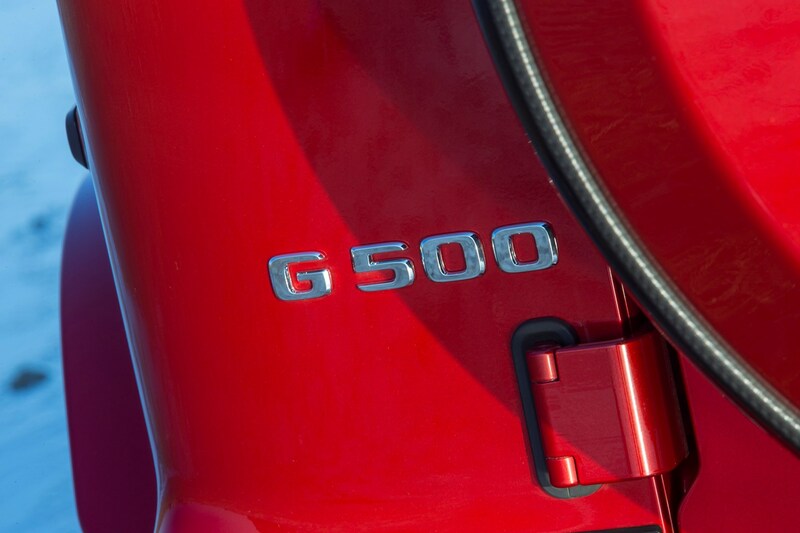 Ignore the numerical part of the G 350 d’s model designation – it’s not got a 3.5-litre engine. 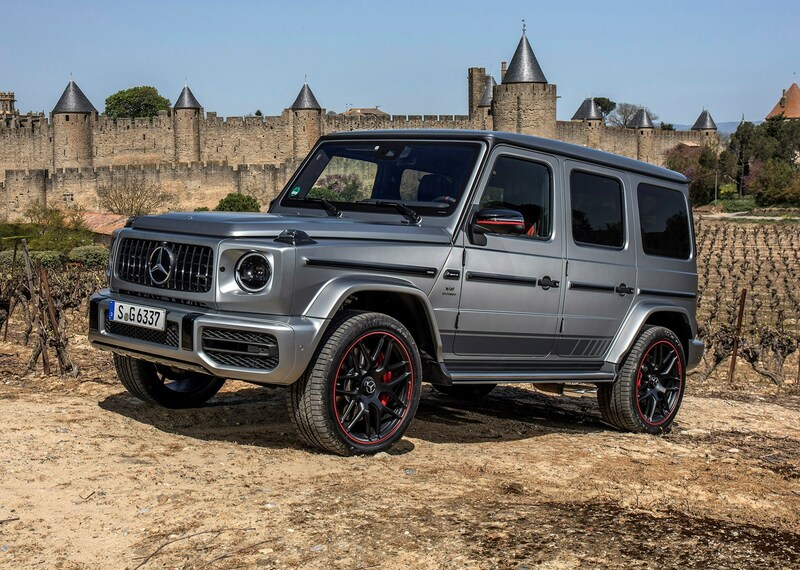 Instead, it’s fitted with one of Mercedes’ new generation of inline six-cylinder motors with a capacity of 2.9 litres. 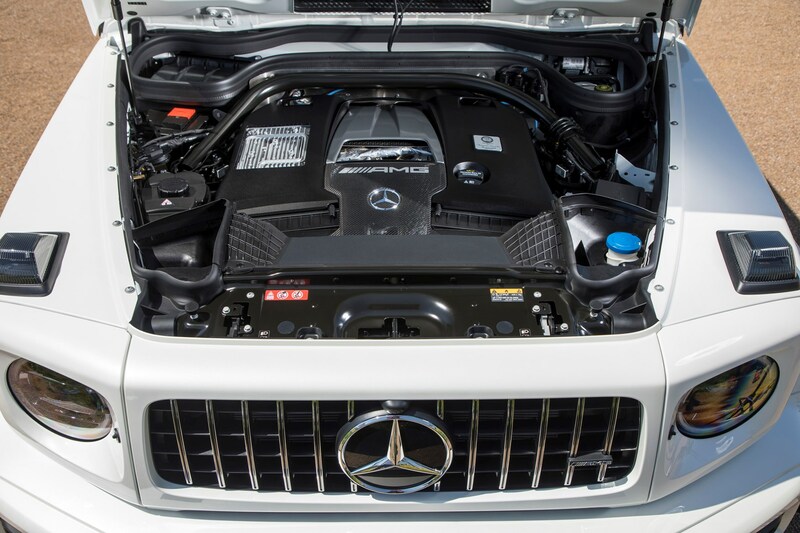 With 286hp available – that’s 41hp more than the equivalent engine in its predecessor – the G 350 d isn’t slow, although its heft and Nelson Mandela house-like aerodynamics see its top speed clipped to 123mph. 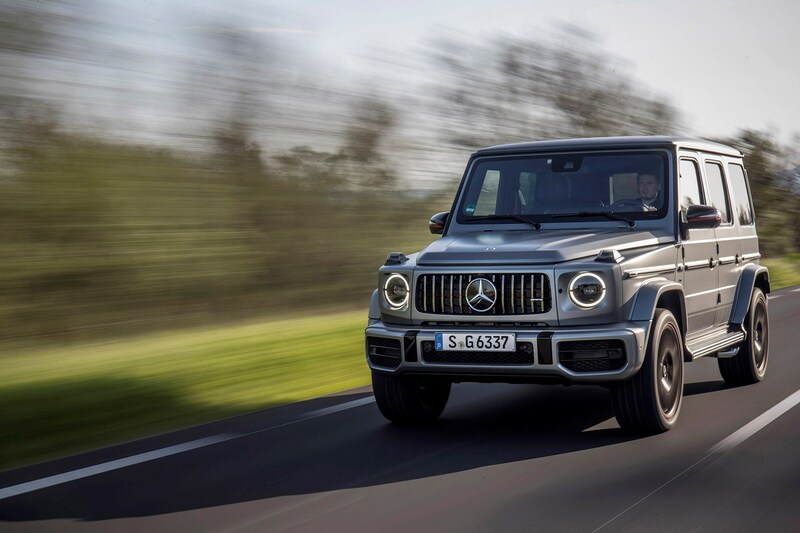 There’s 600Nm of torque on tap between 1,200 and 3,200rpm, making it easy to modulate slow-speed driving when off-roading, or for making good pace on the black-top – 0-62mph is 7.4 seconds. Extraordinary. 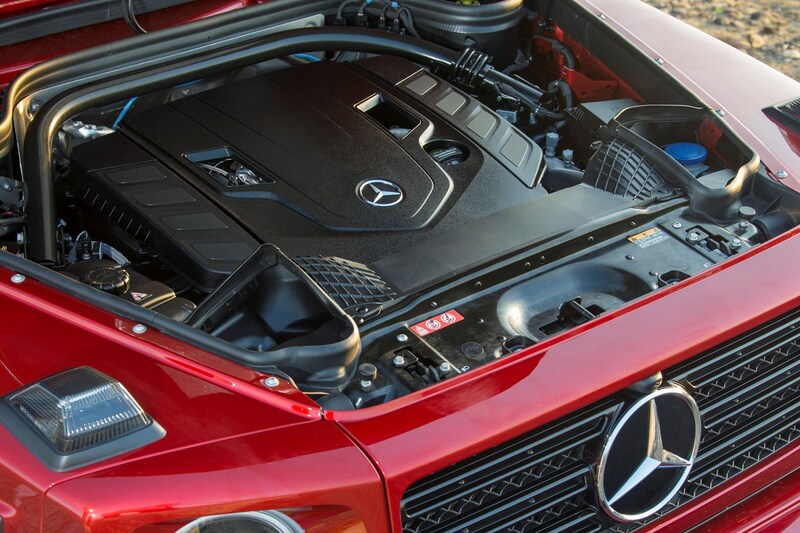 It’s a smooth-running and quiet engine to boot. 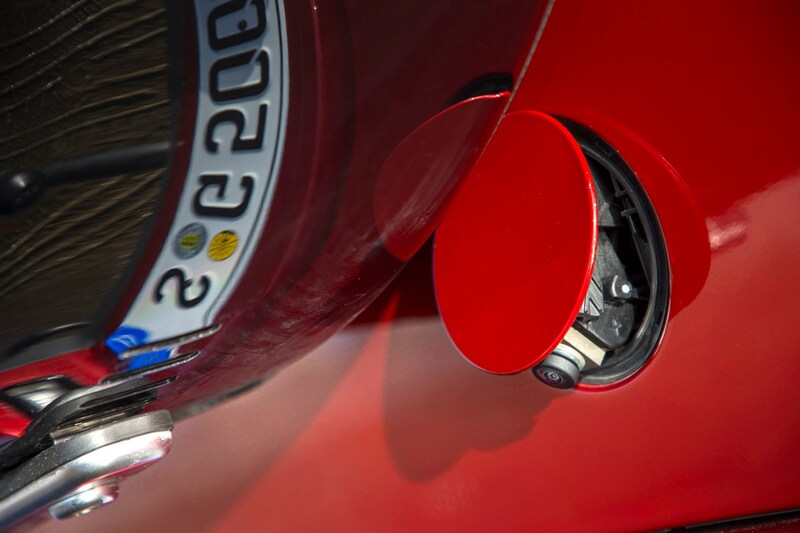 That rich seam of torque makes overtaking manoeuvres swift and secure, while junction pull-aways never make you feel nervous as it gains alacrity. It really comes into its own on long, motorway jaunts, sitting effortlessly at the limit, while maintaining efficiency boosting low revs. 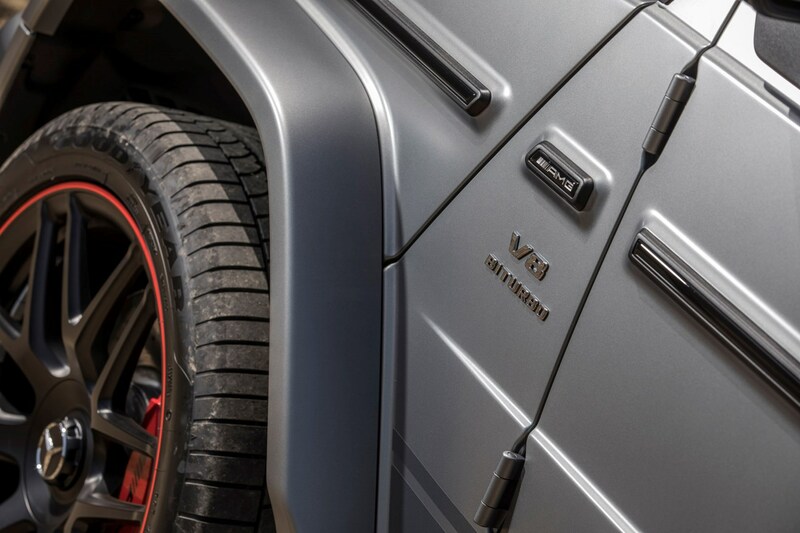 Around town it provides effortless progress – the throttle pedal is easy to modulate, plus it works superbly in conjunction with the adaptive cruise control package, essentially making urban driving a steering-only operation. 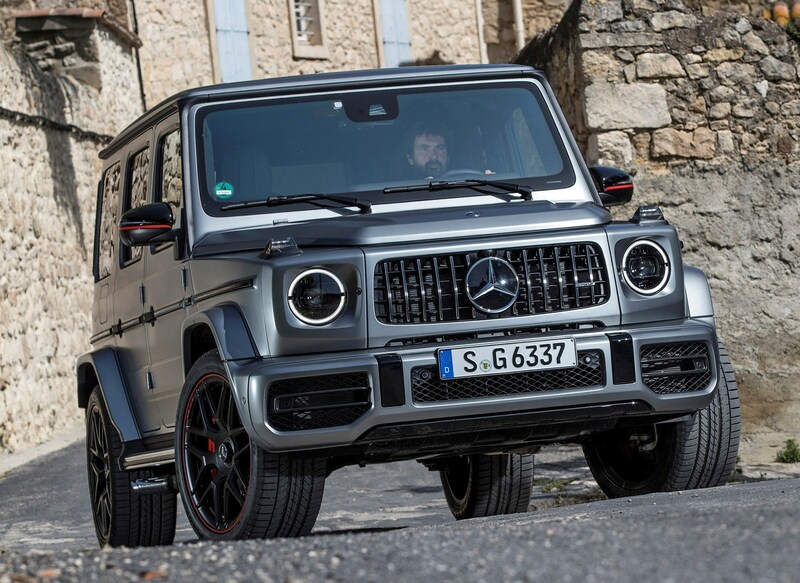 With the AMG G 63 scintillating acceleration is guaranteed. 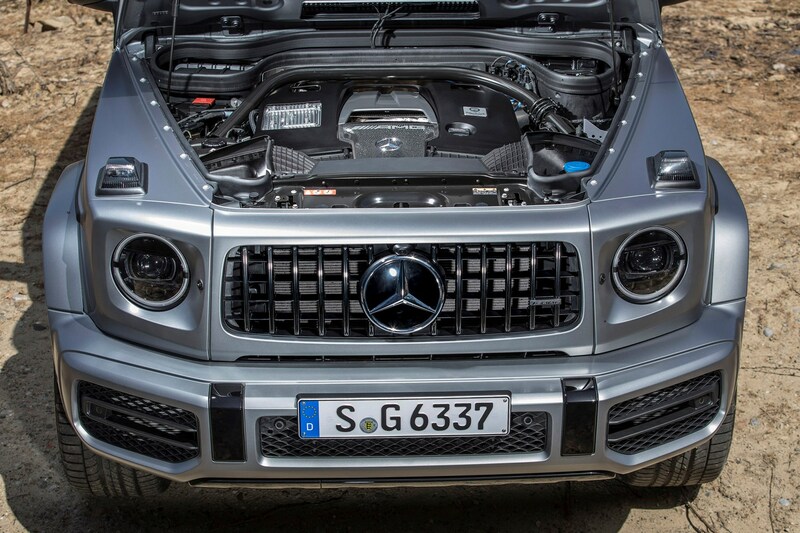 It musters an impressive 585hp and 850Nm from its twin-turbo V8. 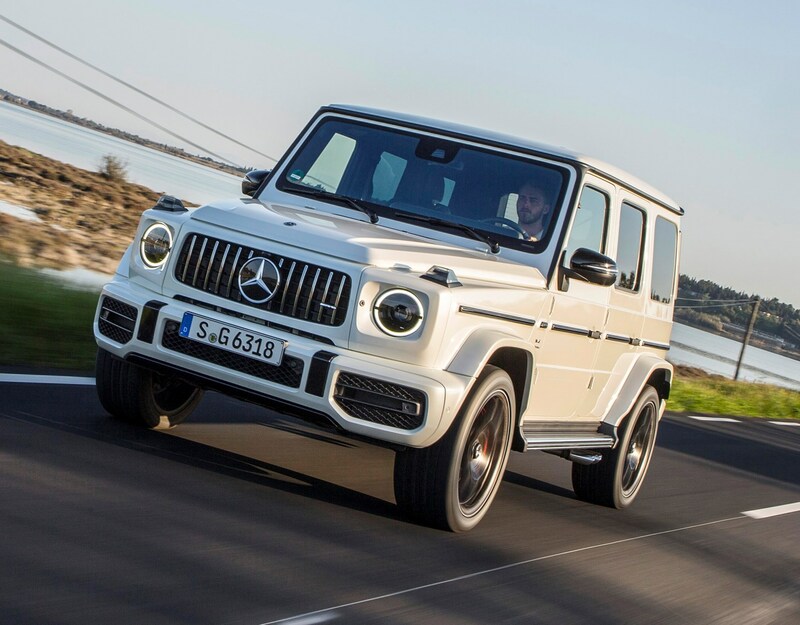 Combined with excellent traction from the standard four-wheel drive, it’s enough to deliver 0-62mph in just 4.5 seconds and top speed is pegged at 137mph. 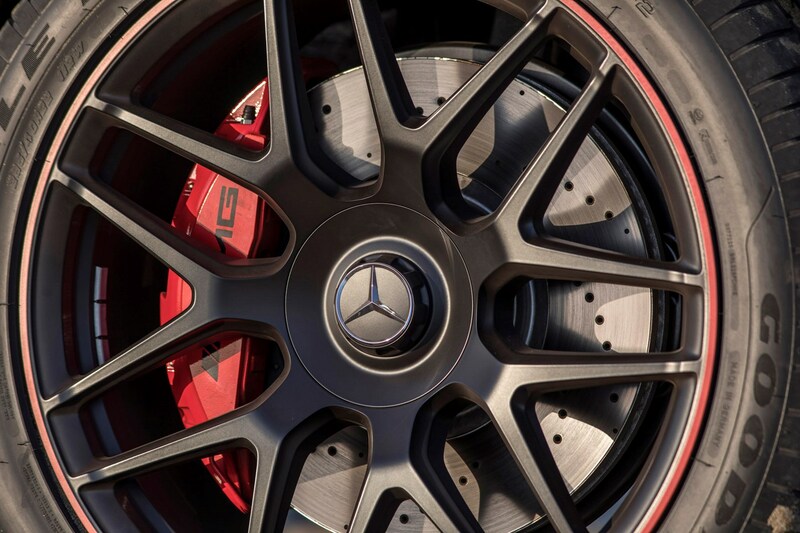 If you’re feeling brave (and live near a German autobahn), you can specify the optional AMG Driver’s Package to raise the top speed to 149mph. 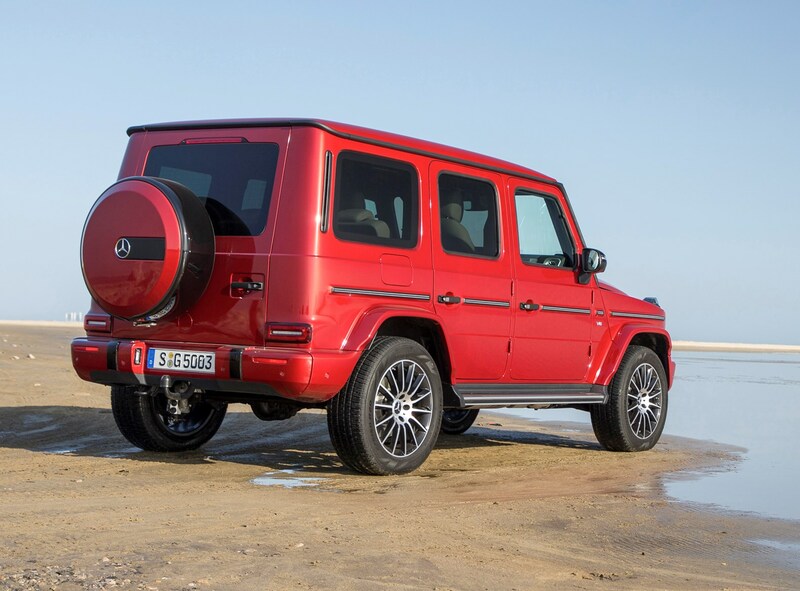 All G-Classes are automatic, with no manual transmission option. 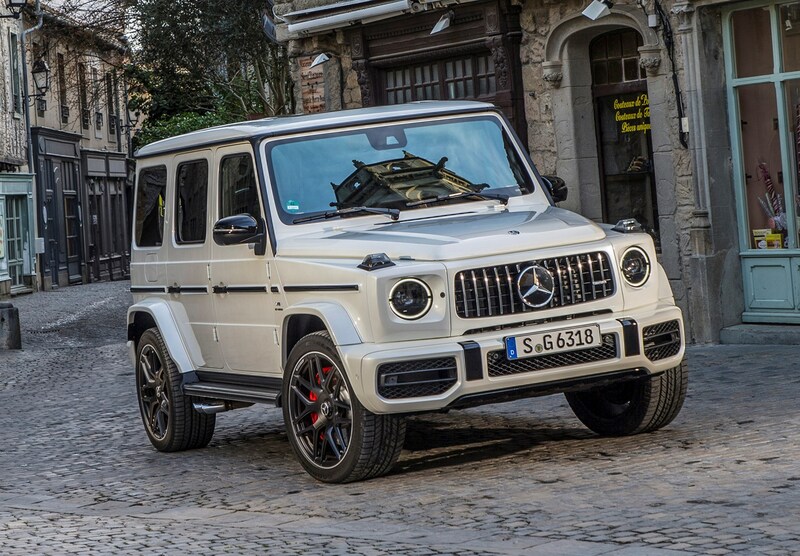 The 9G-Tronic auto ’box has nine ratios and changes gear seamlessly; most cog-swaps slur away in the background and you are rarely aware of the process of shifting ratios. 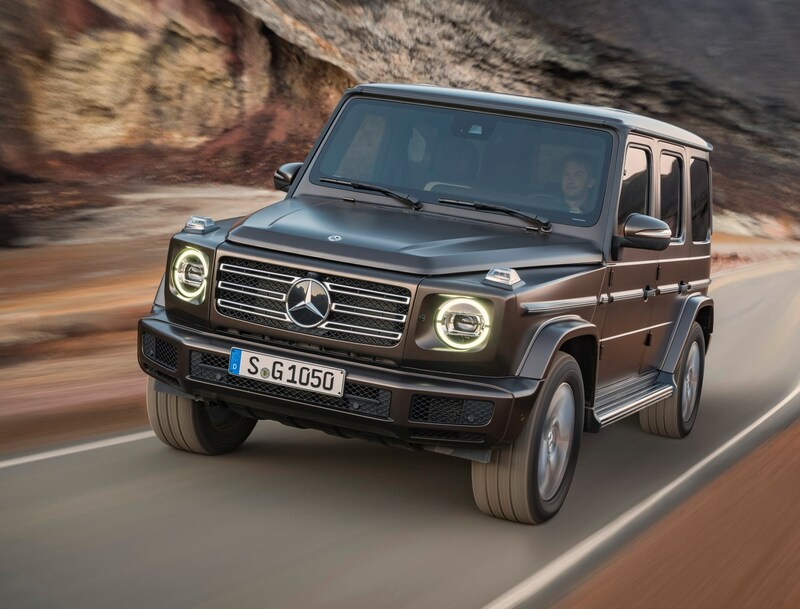 The Mercedes G-Class is unusual in having a low-range transfer box; only available at low speeds, it’s like a super-low gear calibrated for off-road use – and is great for extreme engine braking when descending a slope or extra grunt when climbing up steep hills. 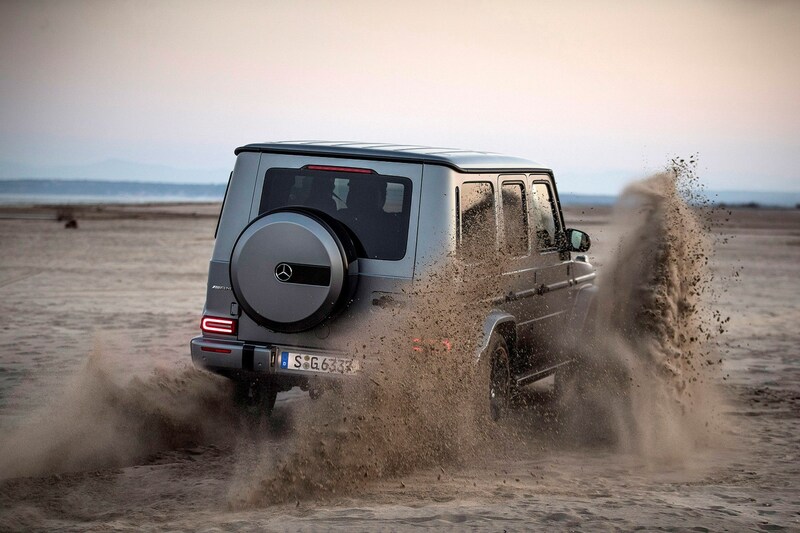 We’ll discuss more off-road ability in the Handling section below. 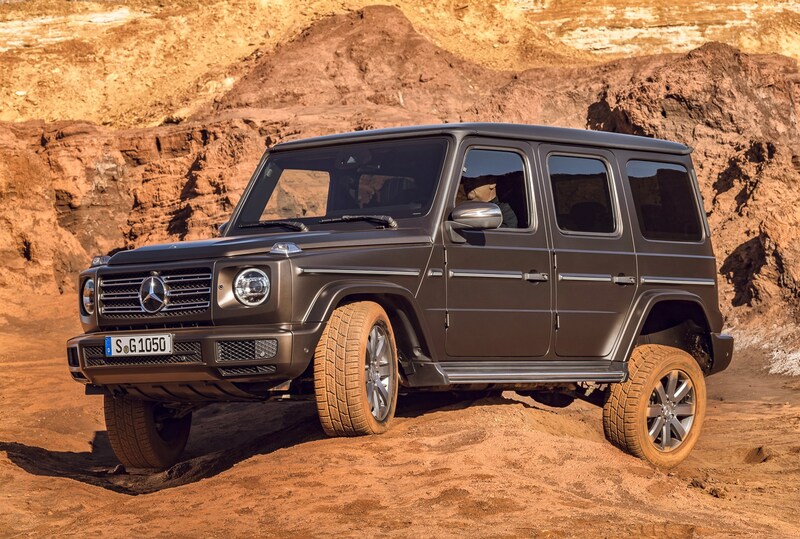 Old G-Classes were a bit of a mess dynamically: they might have been ace at off-roading and streetside posing, but they were not enjoyable cars to drive. In fact, at times they were downright terrifying. The new one changes all that. 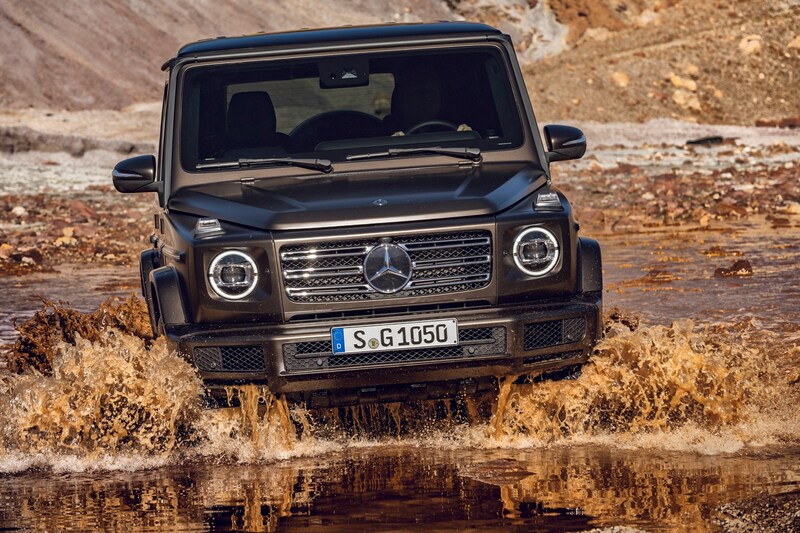 At last, the Mercedes G-Class feels at home in all typical circumstances. 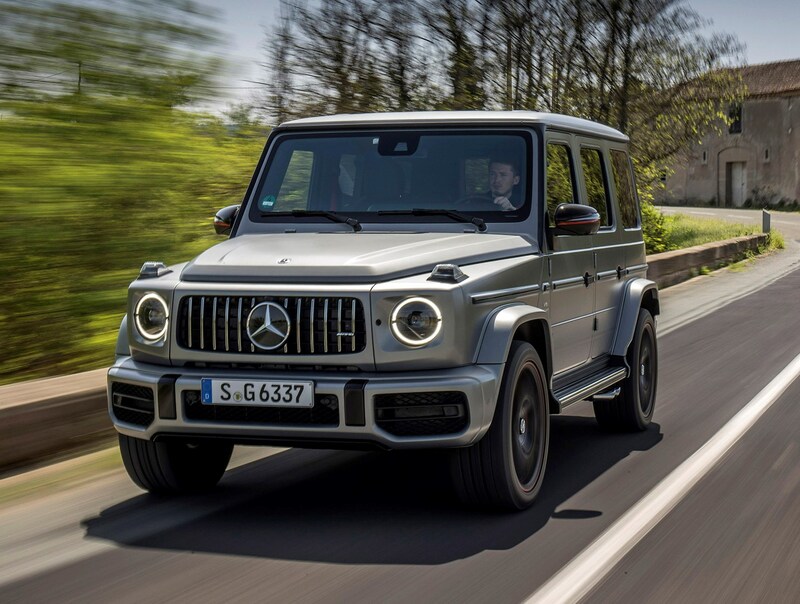 It will no longer wander all over the lanes on a motorway; the steering is accurate and you can place it precisely on a country lane; and the ride is well-judged, softening out the road scars and acne typical of British roads. We can’t recall a bigger quantum leap from what went before. 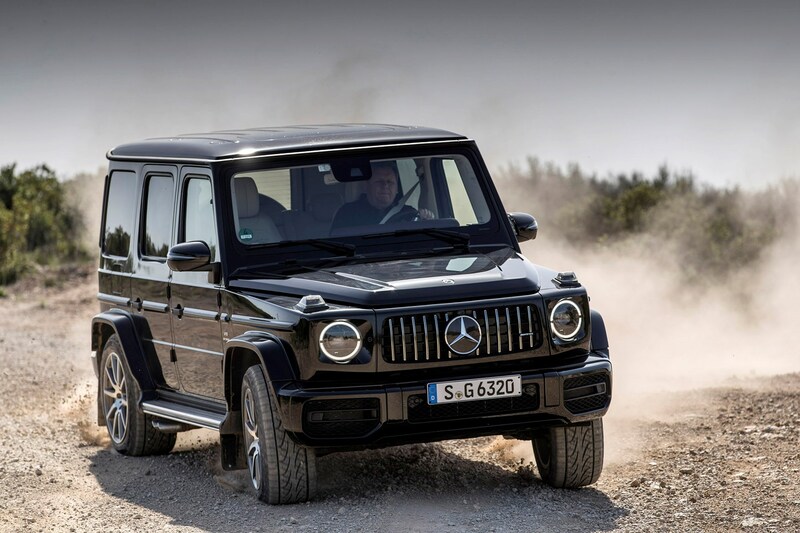 With the last car, you were forever making excuses and reminded of this car’s military origins. 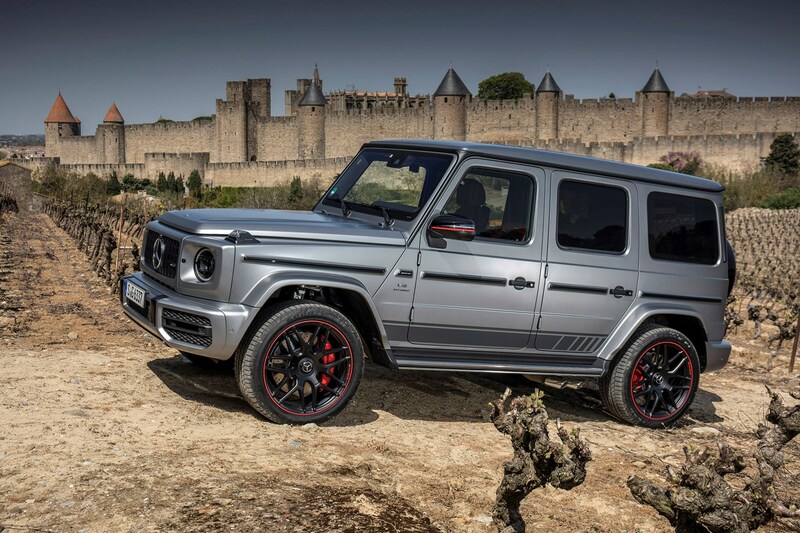 With the new G-Class, that is no longer necessary. 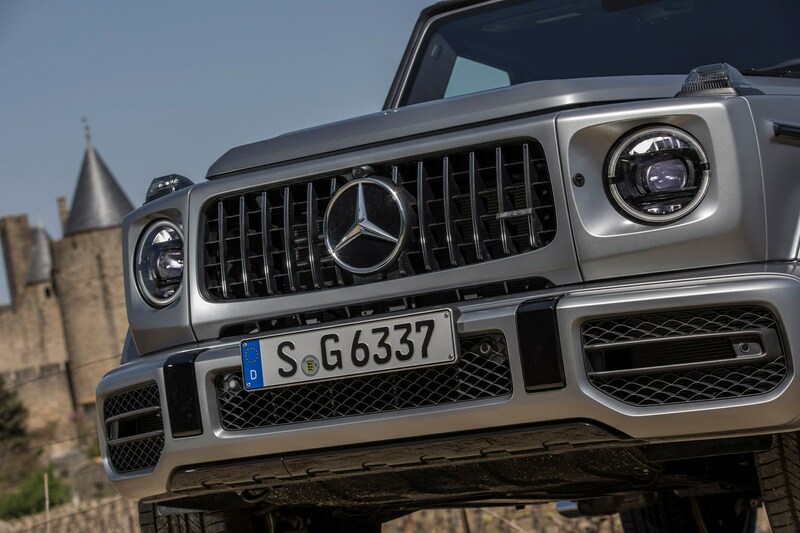 It rides, handles and steers much like any other modern Mercedes SUV – and we say that as a compliment. 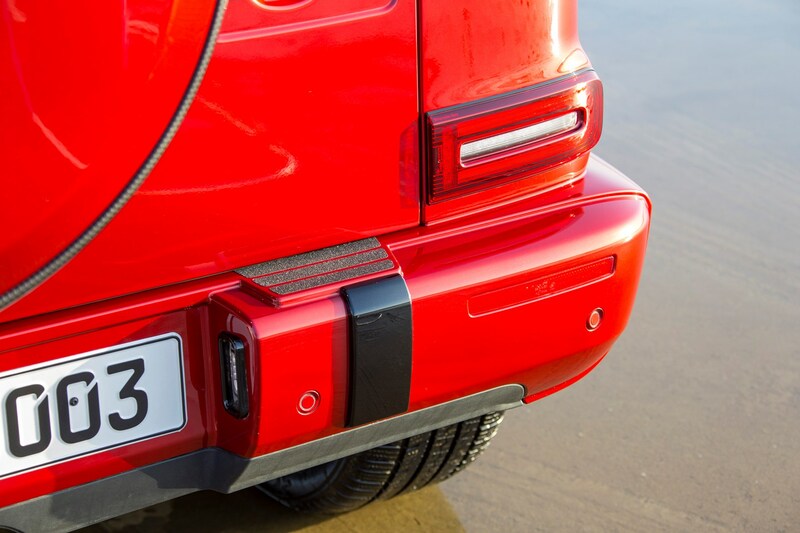 The upright shape makes it very easy to place on the road; one of the best features on the G is the pair of indicator repeaters that rise out of the bonnet like bubble-wrap, clearly defining the outer edges of the set-square design. 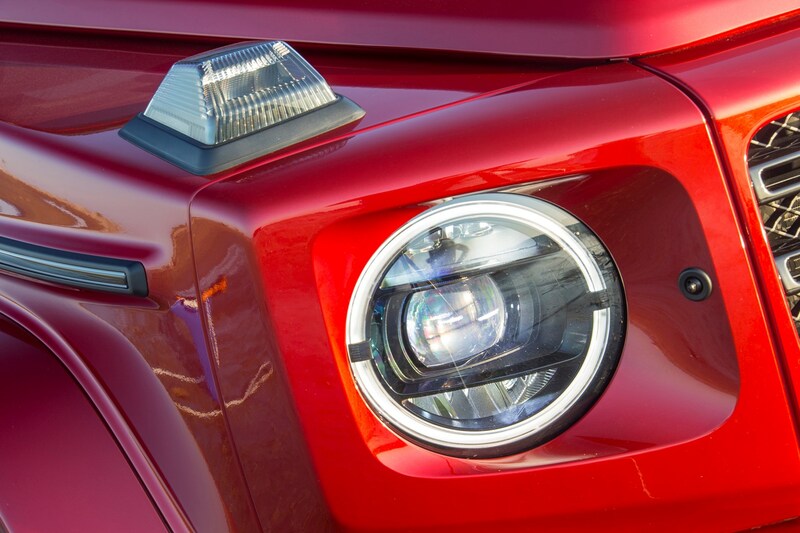 A parking camera and sensors are standard, making slotting into a space a cinch. 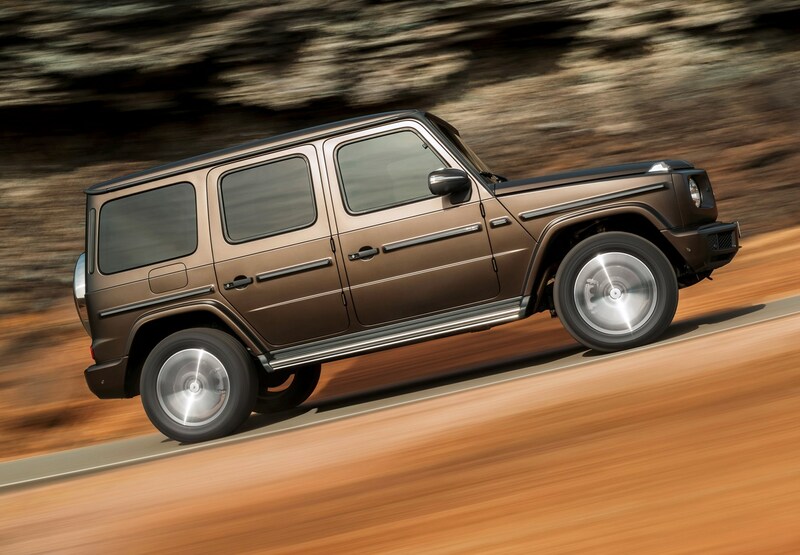 Of course, anyone considering a G-Class is likely to be attracted by its off-roading ability. Here, it scores extremely highly. 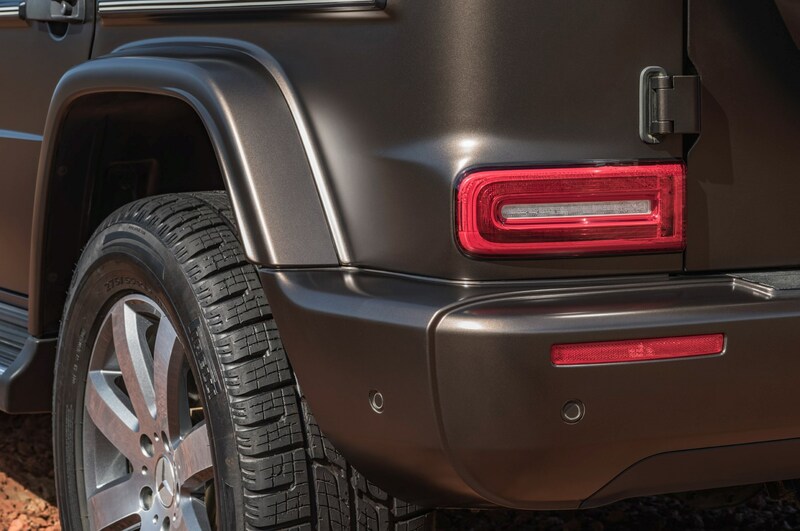 It is unique in having three locking differentials and a low-range transfer case. 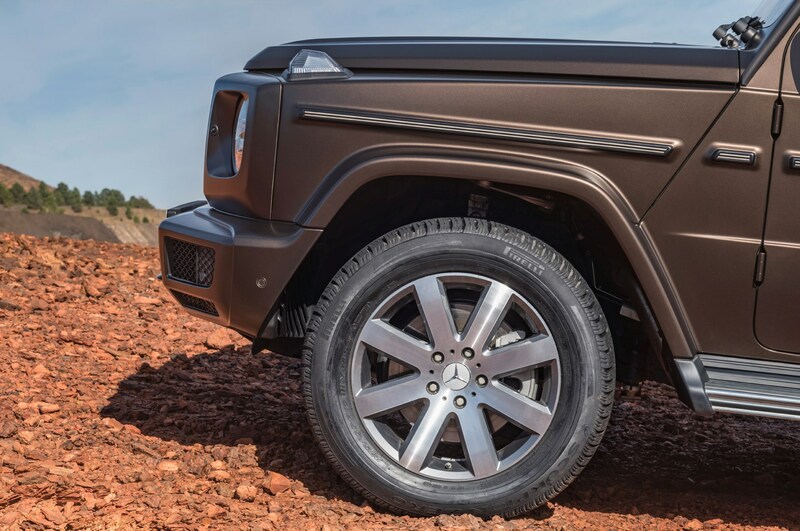 The former are useful to prevent wheels spinning when on low-grip surfaces (or dangling in the air, if you’re properly off-road and tiptoeing over boulders) while the latter keeps you going even if you’re scaling a 1:1, or 45-degree, incline. Let’s get technical briefly. 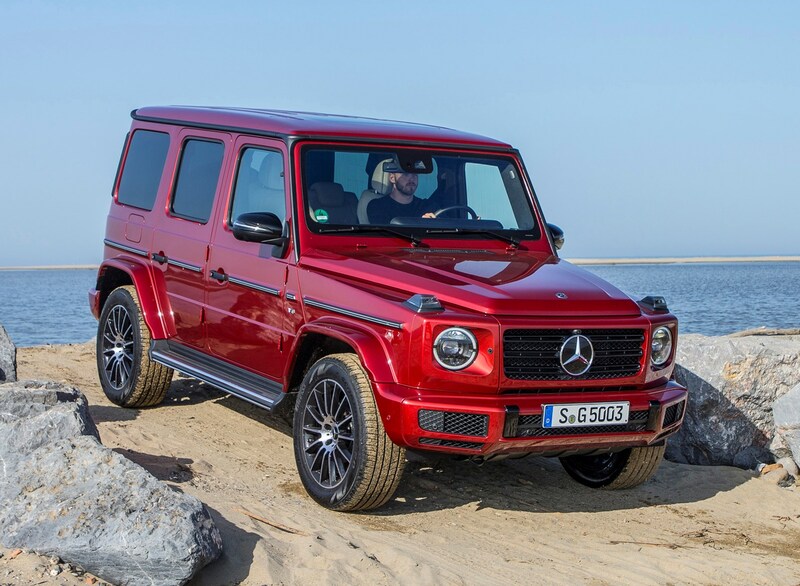 Mercedes quotes 241mm of ground clearance for driving over rocky terrain, you can wade through 700mm of water, and the G has impressive angles of ramp breakover (26 degrees), approach (31 degrees), departure (30 degrees) and side tilt (35 degrees). 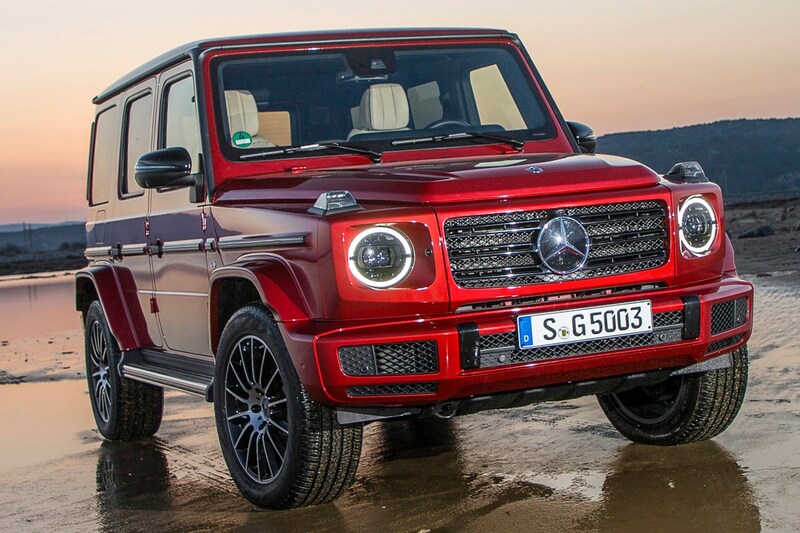 Those figures will be largely meaningless to many readers, but if you do venture off-road at all they will confirm that the G-Class is well equipped when you veer off tarmac. Parkers tested it on a tough mountainside courses, both in summer, and in winter on packed snow and ice, finding it mind-bendingly capable. 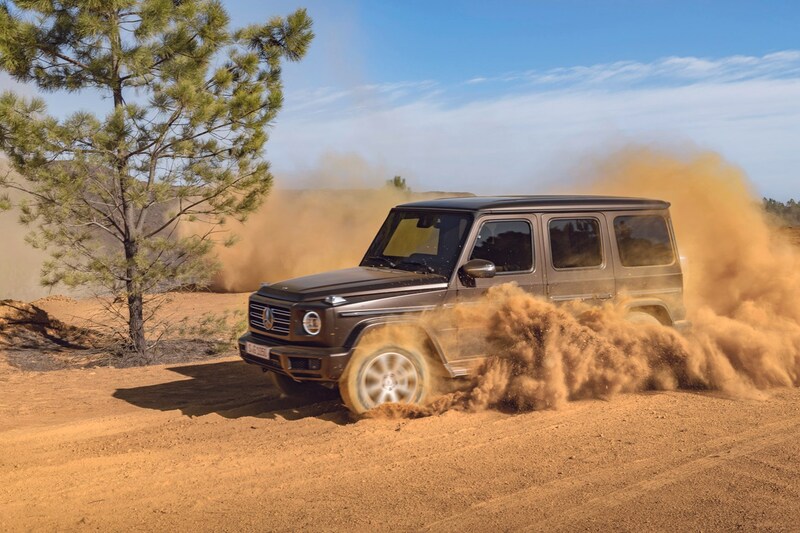 You can toggle the differential locks on and off while you’re driving at speeds of up to 30mph but we’d recommend getting instruction if you really fancy making the most of the Merc’s go-anywhere ability. We found the car’s talents outshone our own. 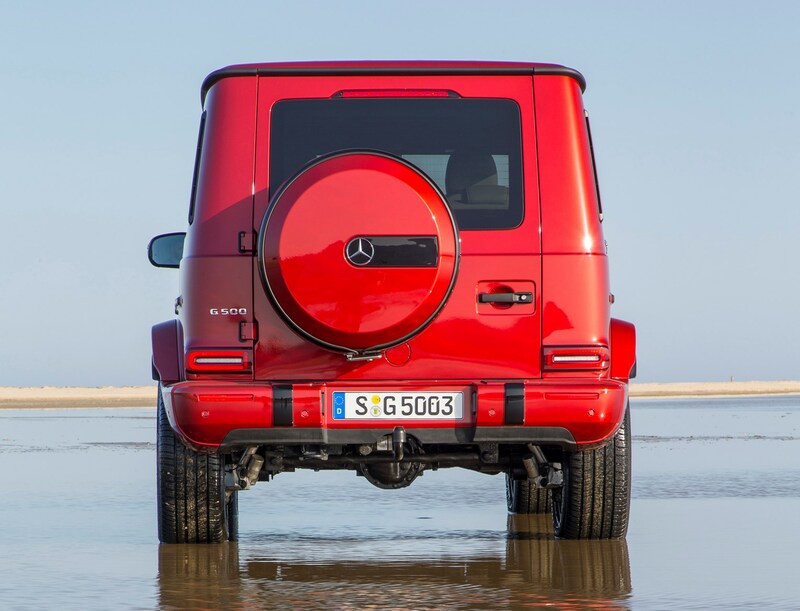 Happily, all that traction and grunt means that the Mercedes G-Class has impressive towing limits: a trailer, caravan or boat of up to 3.5 tonnes can be towed in safety (if the trailer is braked), or 750kg on a more typical, unbraked trailer. 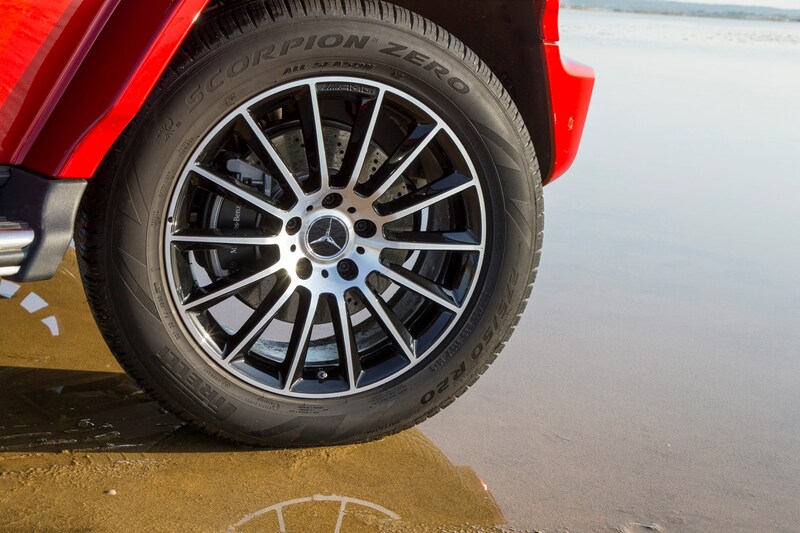 All-seasons tyres are standard fit. 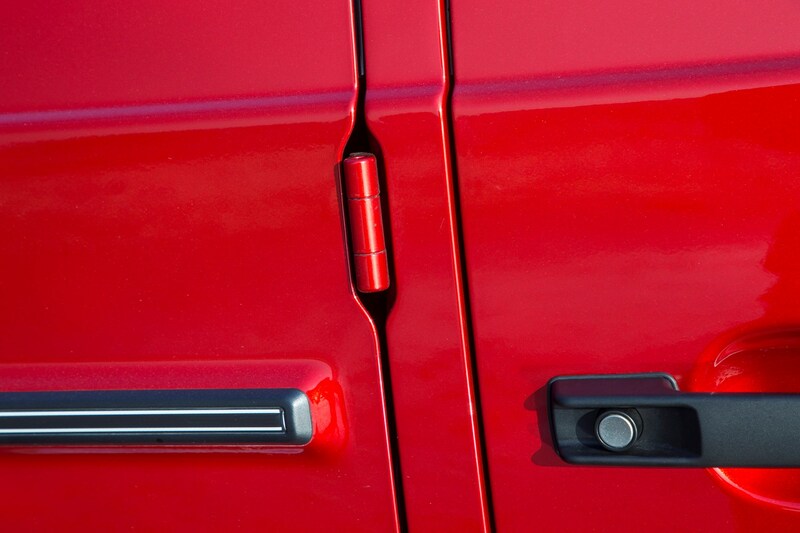 A fixed tow bar is standard on every UK-registered model – and the ESP stability system even includes a programme designed to stop trailers from snaking, which is a welcome comfort blanket to those likely to carry heavy loads regularly. 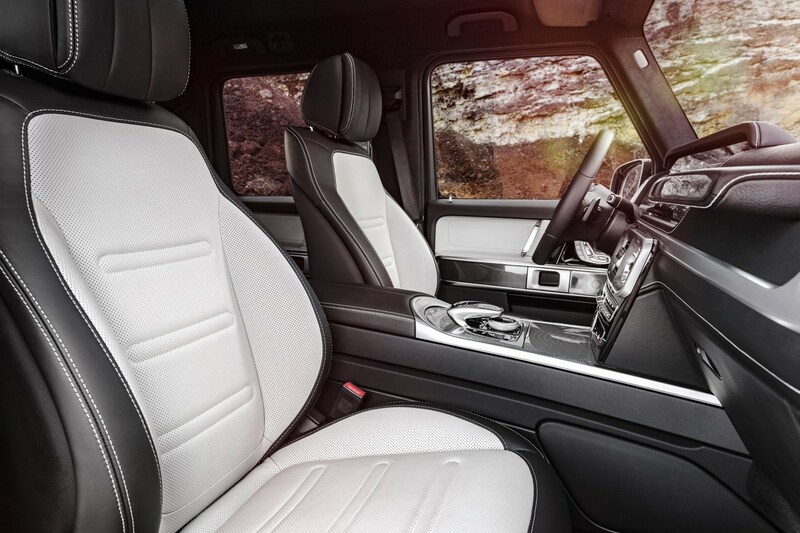 Dynamic Select is a drive mode selector, letting you pick between Comfort, Sport, Eco and Individual. 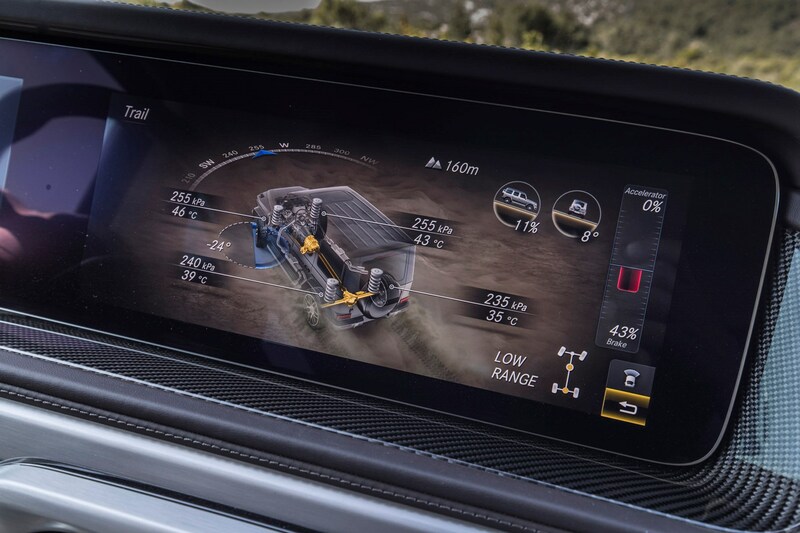 Flicking through the modes means you can set up the car's throttle, engine, transmission and suspension settings to deliver a sportier drive or relax everything to a more laidback gait. 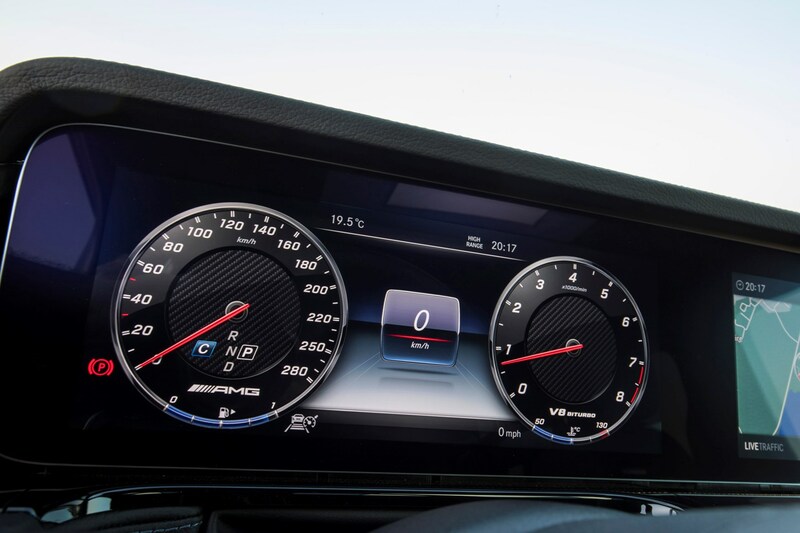 It works well and changes the character of the car noticeably; you can also set your own preferences in the Individual toggle, which is a neat touch. 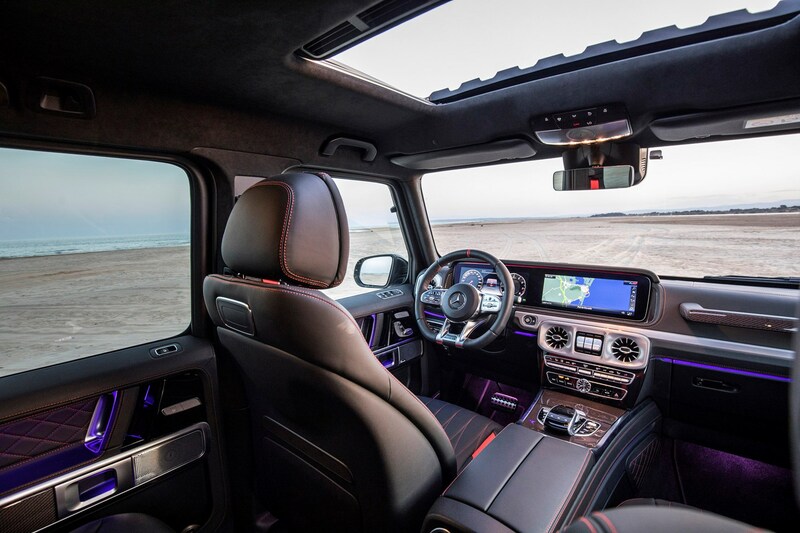 Climb up into the G-Class's interior (it really is a climb for most people) and you’re greeted by a cabin that feels much more in sync with other modern Mercedes-Benz cars. 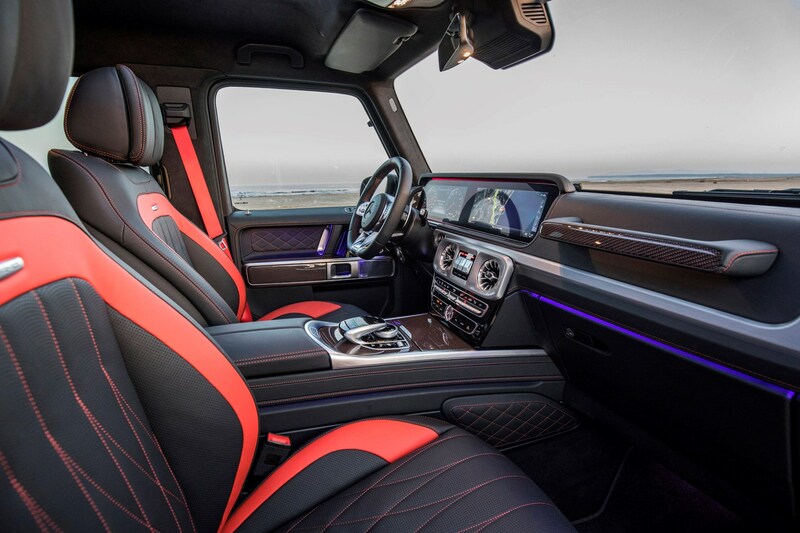 In fact, you’d be forgiven for thinking they’d taken an E-Class cockpit and dumped it straight in. 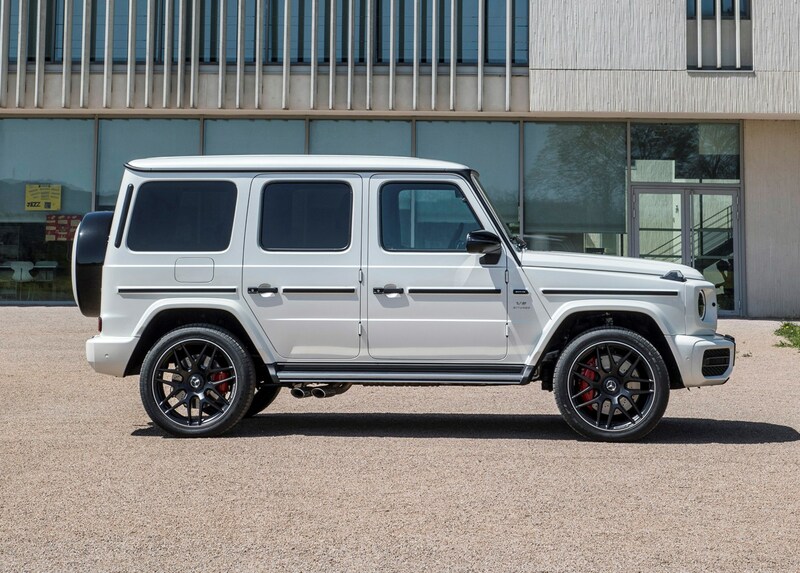 This is a major departure for the G-Class, earlier iterations of which have always had a rather archaic, rudimentary vibe inside. No more. 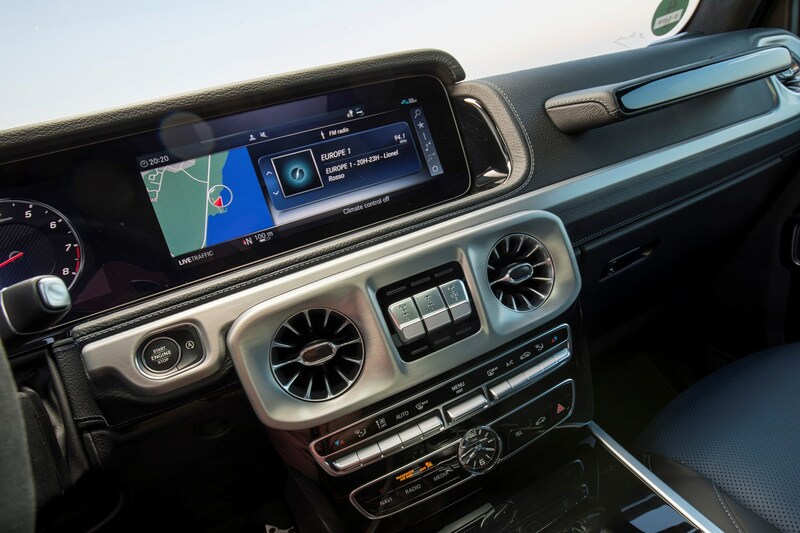 Most noticeable are the twin 12.3-inch digital screens that dominate the dashboard, replacing the traditional instruments and running the digital heart of the infotainment system. 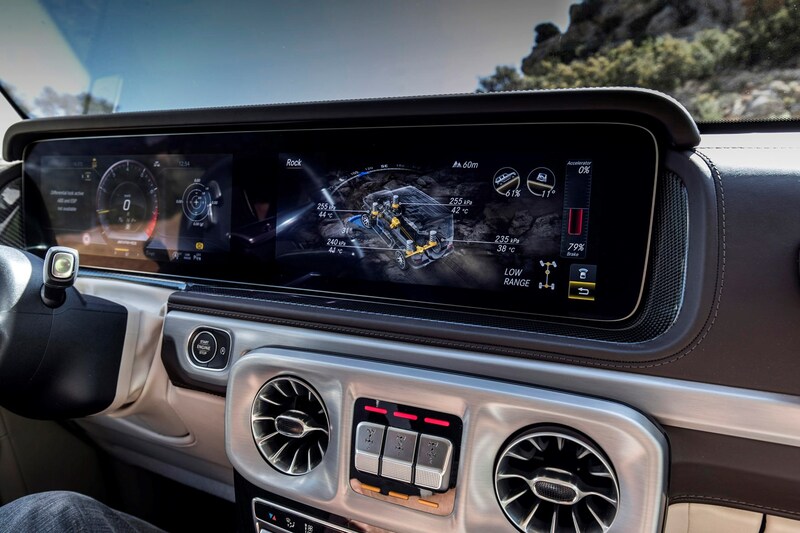 It means that many of the features we’ve become accustomed to on bigger Mercedes-Benz cars are now available on the G. So if you delve into enough sub-menus, you can play with the presentation of screens and flick between Classic, Sporty or Progressive digital dials – and there’s a heap more personalisation available. 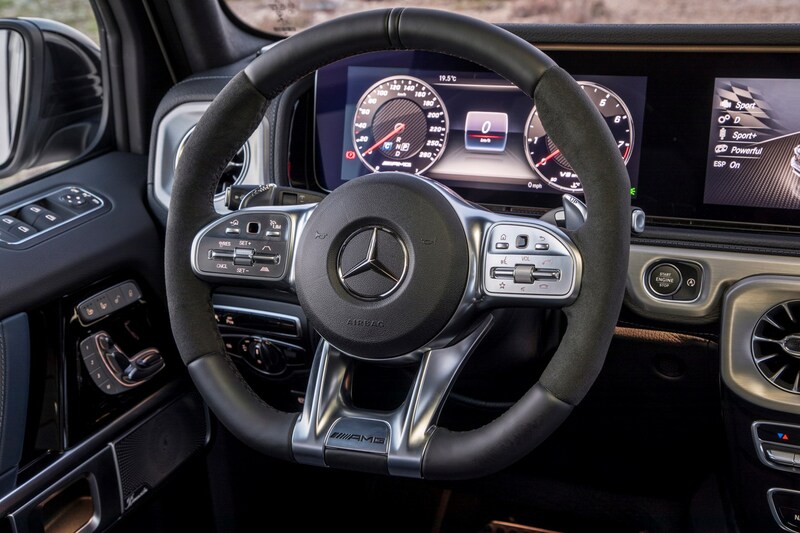 Thumb pads on the steering wheel let drivers flick through menus on the move; it takes a little getting used to, but it’s only one way of operating the Comand system – you can also rely on the rotary controller in the central armrest, use voice control or physical hard buttons where available. It won’t take you long to learn your way around, although it can sometimes be a little fiddly. 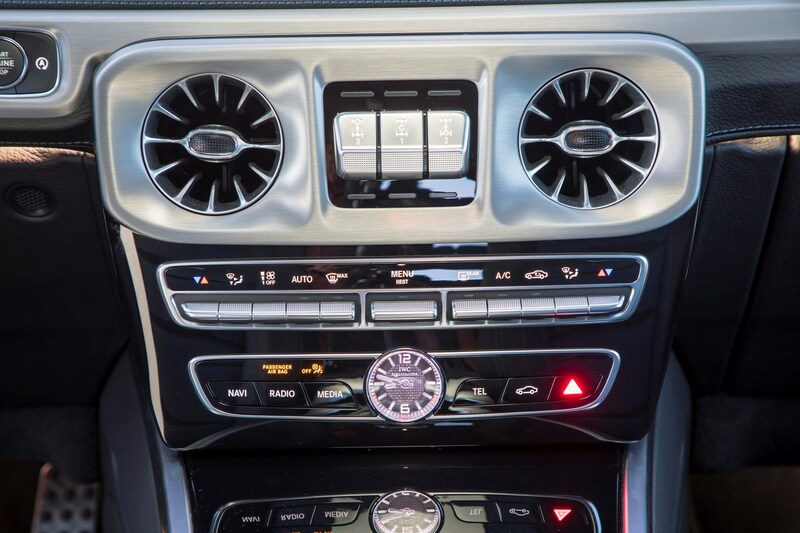 Each manufacturer’s infotainment system works slightly differently and we reckon that the Mercedes-Benz Comand set-up is logical and easy to navigate your way around. 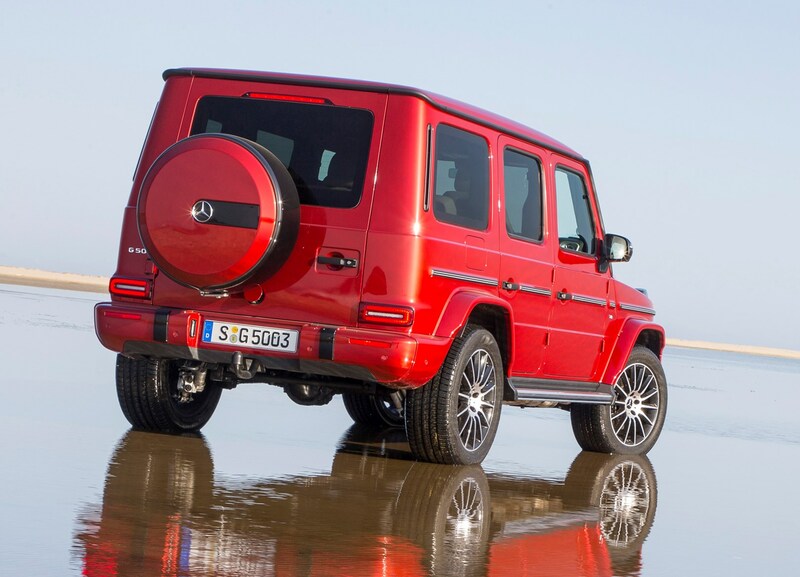 The physical attributes of the G-Class cabin impress, too. 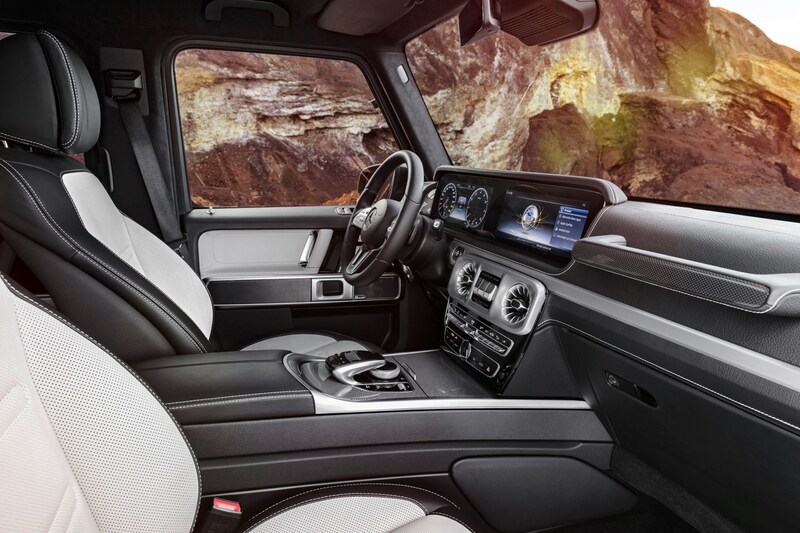 This is a well-made interior and the choice of materials and build quality in general feel worthy of the lofty prices charged. 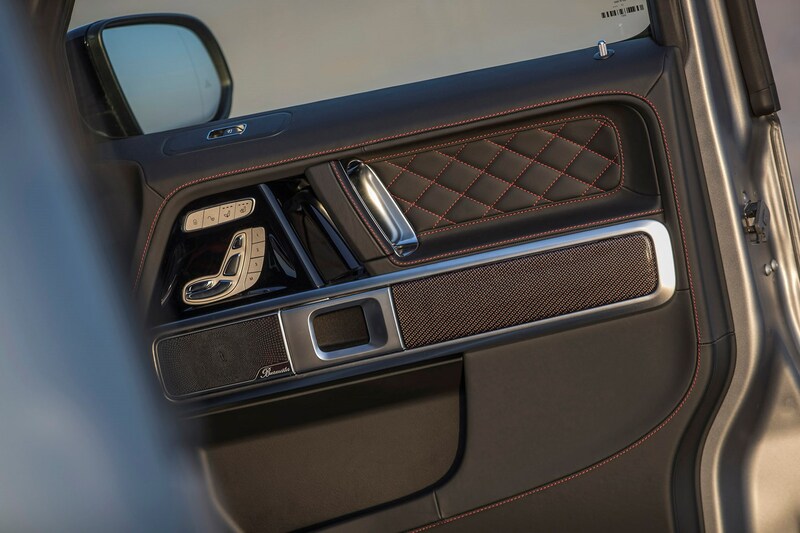 The cabin is swathed in good quality leather and we love the mechanical rifle-bolt latching sound when you thunk the doors shut. You feel like you’re ensconced in the Bank of England vaults when the door closes. 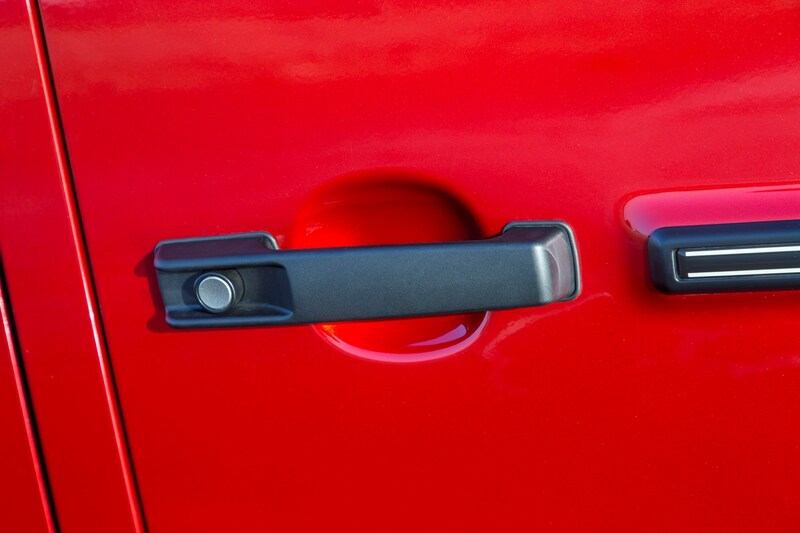 Poke around, though, and you’ll discover a few plastic finishes that are below-par for a £100,000 car. 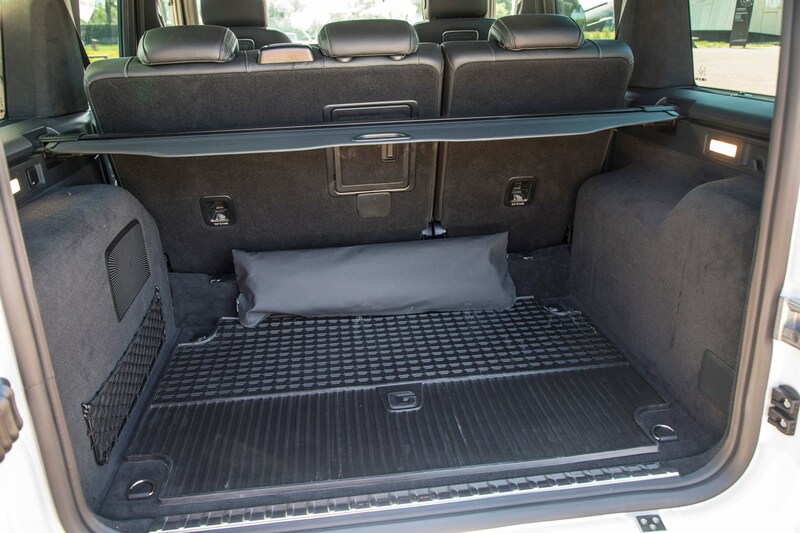 The elevated driving position is good, too. 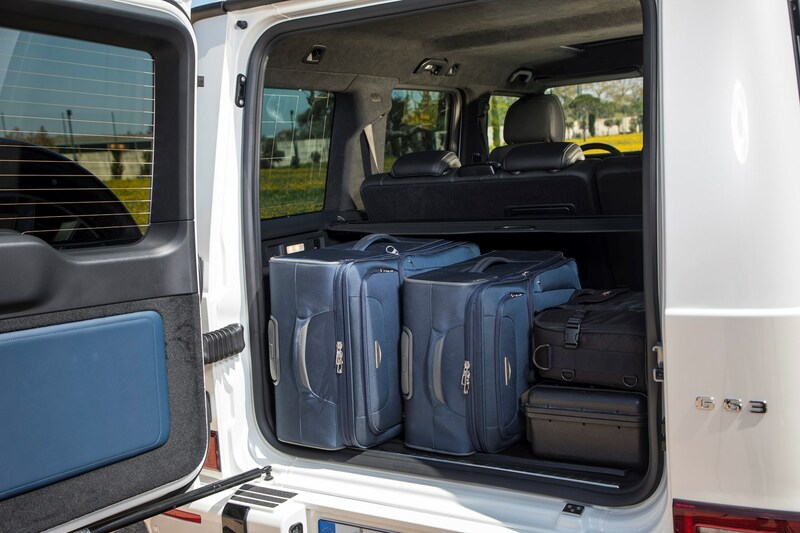 We found the range of seat and steering wheel adjustment fine to adapt to a range of body sizes. The chances are that you’ll be able to get comfortable easily and, as we’ve noted elsewhere, there is an excellent view out. You really do have a lofty vantage point, looking out over most other traffic. 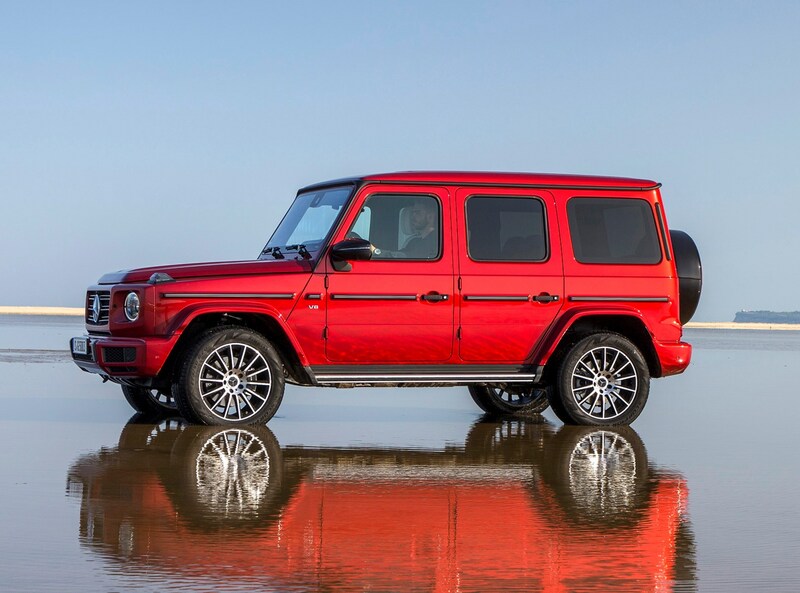 In line with the huge strides made in the rest of the G-Class package, refinement and comfort are noticeably improved on this-generation model launched in 2018. 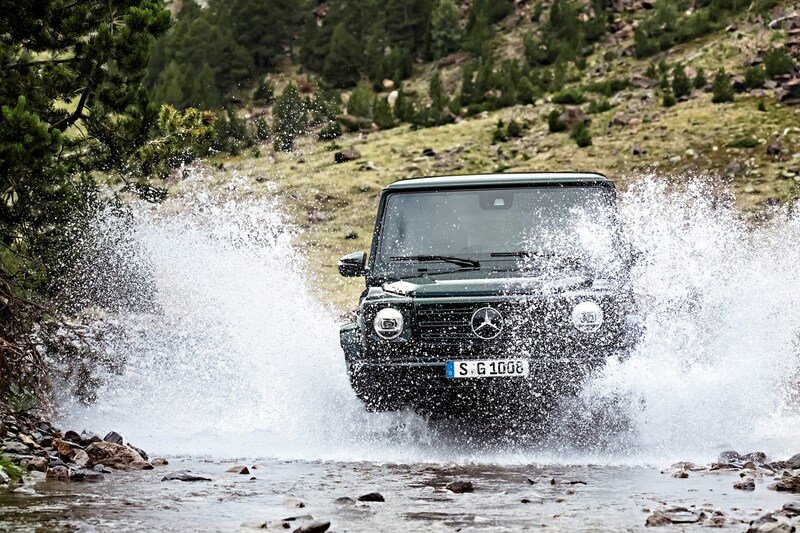 Where the last G-Class would bounce and pogo down a road, this one flows with much greater poise. 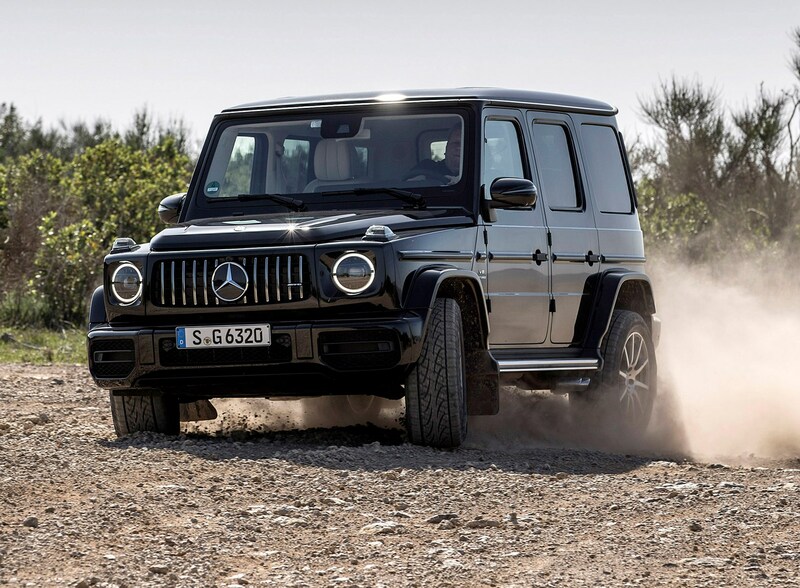 This is mostly down to the mechanical improvements: the new suspension is much more biased towards on-road comfort than the off-road set-up of earlier models. 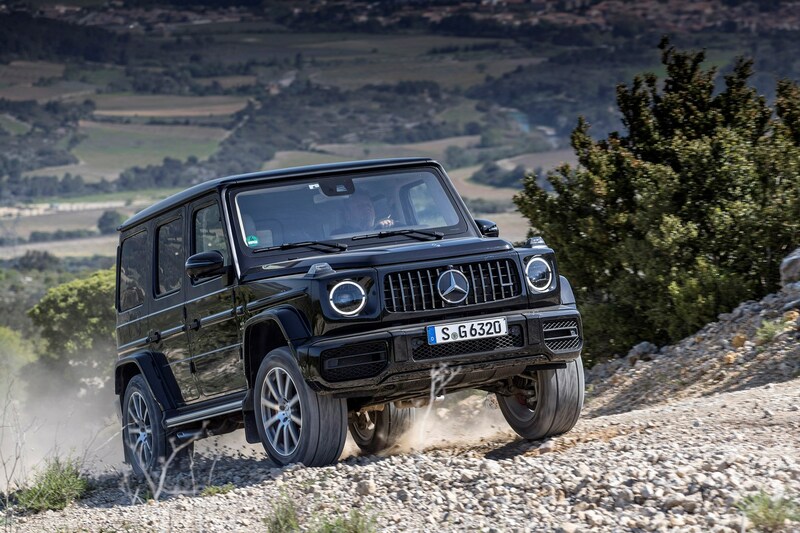 Bumps and lumps in the tarmac are smothered by the chassis (and surely the 2.6-tonne kerbweight must help here) and body movements are well-controlled. 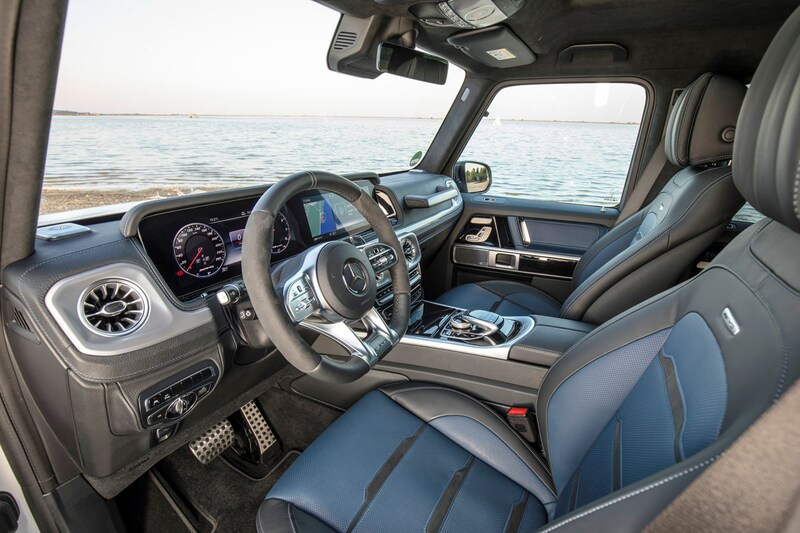 The seats fitted to the G-Class are impressively comfortable and hold you in place during high-speed driving or off-roading. The stubby grab handle sprouting from the dashboard in front of the passenger seat is a nice touch and genuinely useful when climbing in. 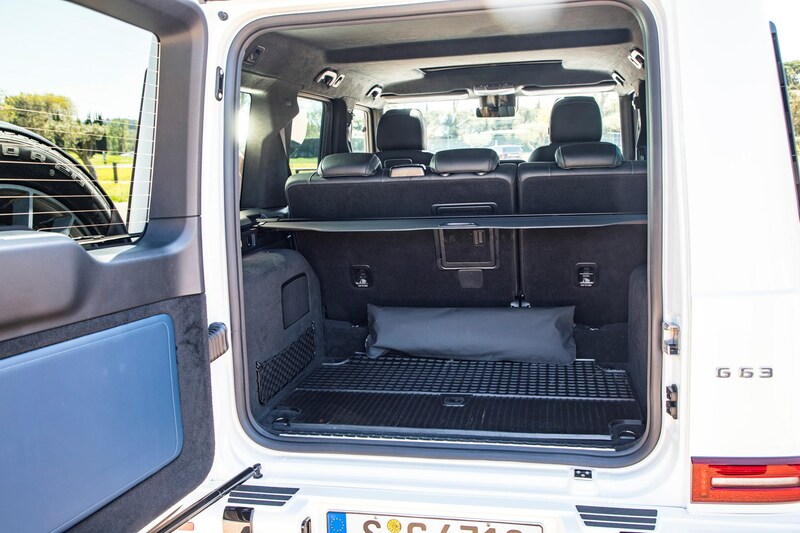 Both rows are heated and buyers wanting the ultimate in seating comfort can choose the optional massaging Active Multicontour Seat for some serious spinal pampering. 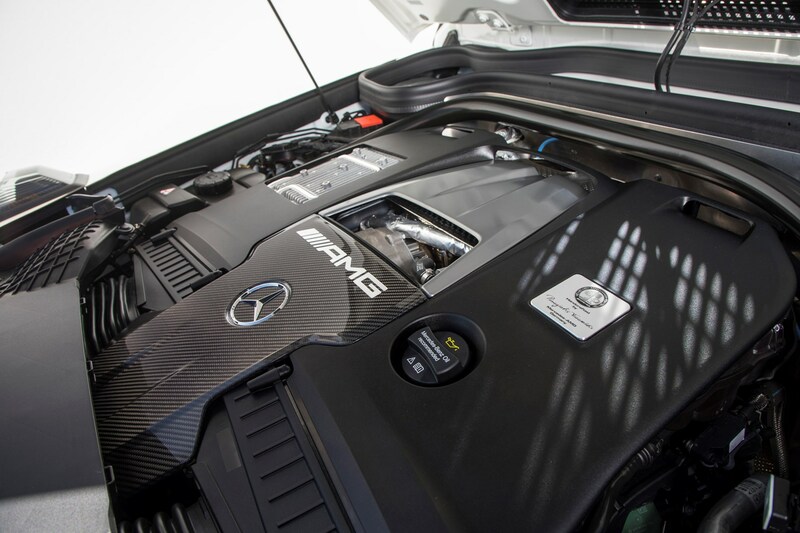 Newly fitted double-glazing has dramatically boosted refinement and the engine noise, especially from the AMG’s vocal V8, is well contained in typical day-to-day driving. 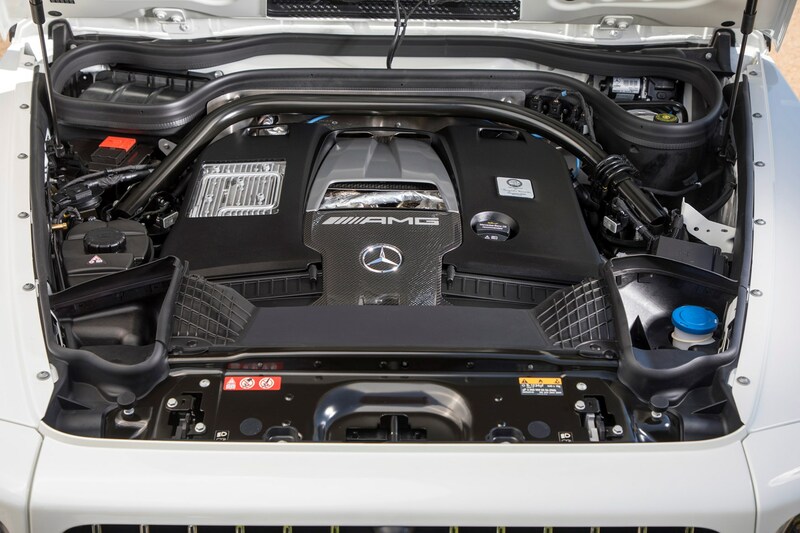 Only when the car is in Sports mode does the exhaust spark up a soundtrack akin to the rumble you’d typically hear at an American drag-race strip. Inevitably there is some wind rustle as a result of the brick-like aerodynamics. This is an extraordinarily upright car and the drag coefficient of 0.54 makes this among the least slippery shapes for cleaving the air, to the detriment of wind noise and efficiency. 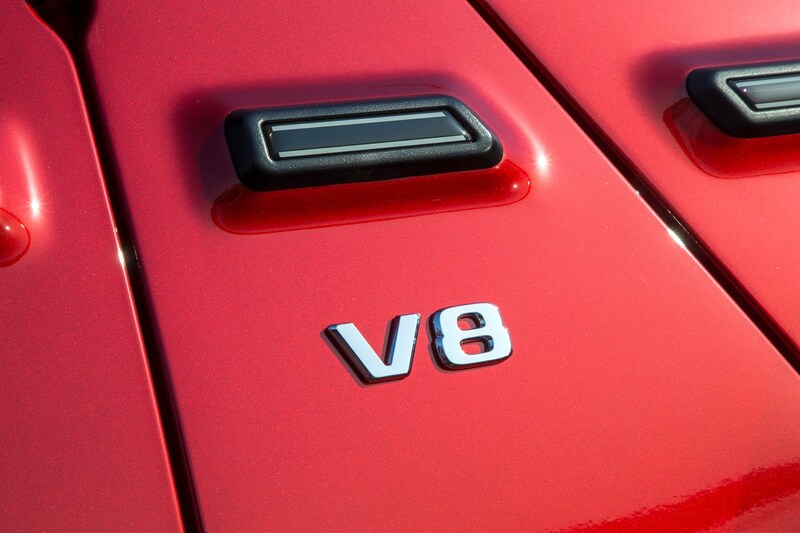 At motorway speeds, you actually have to raise your voice a little to counter wind noise.